I always loved cartoons with celebrity caricatures. 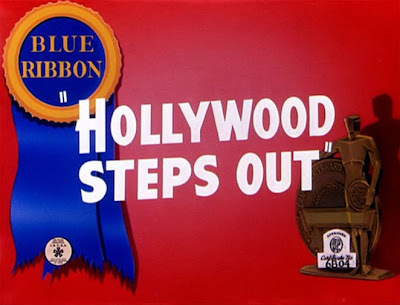 Warner Brothers' "HOLLYWOOD STEPS OUT" is one of the best. 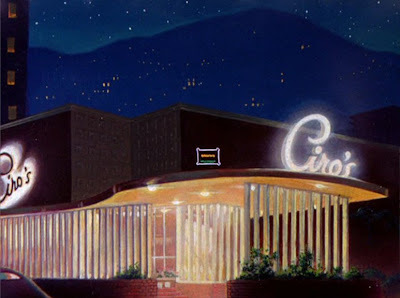 The background art does a beautiful job depicting the glamorous Hollywood nightclub scene at Ciro's, one of Tinseltown's notorious hot spots. The pan shot of the interior is digitally recreated, giving us a view of the art we never saw in the movie. That's Cary Grant on the far right.